Is there a better alternative to MoveIt? Is MoveIt really the best app in File Management category? Will MoveIt work good on macOS 10.13.4? With MoveIt, just slightly drag the files away from its original position, and then release the mouse button being pressed, a window will automatically show up to let you choose the destination for the files you want to move. 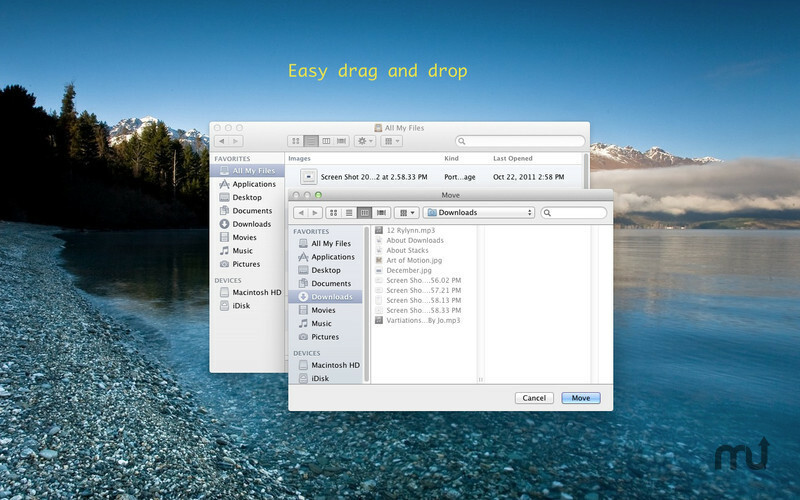 MoveIt is a must-have for your Mac! Suffering from dragging files for a long way to somewhere else? Not any more. New feature: Open destination directory after operation finished. Address an issue with external storage. MoveIt needs a rating. Be the first to rate this app and get the discussion started!